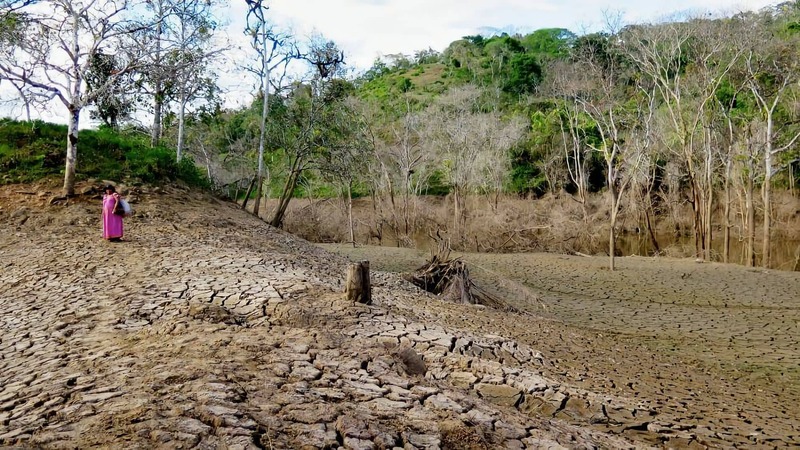 Este artículo está disponible en español aquí Last week, a group of people walked to the edge of the ceremonial site in the flooded indigenous community of Kiad in the province of Chiriquí, Panama. Standing on the muddy bank of the Barro Blanco Hydroelectric Dam reservoir, the group gazed into dark, stagnant waters and remembered. The sad, brief ceremony marked the third year the Ngäbe-Buglé have been unable to carry out an annual ritual that once drew hundreds of worshipers from around the vast comarca, or Ngäbe-Buglé territory, to the community of Kiad for days of celebration and contemplation along the banks of their sacred Tabasará River. Today, the massive stones covered in ancient petroglyphs, a mysterious link to their ancestors, lie at the bottom of the foul-smelling waters. “It was a deep sadness for all the participants,” said Manolo Miranda, Ngäbe educator and leader. More than a decade ago, Manolo joined hundreds of his people in a doomed battle against the Barro Blanco Dam, which has now come to symbolize the worst excesses of the international development community. 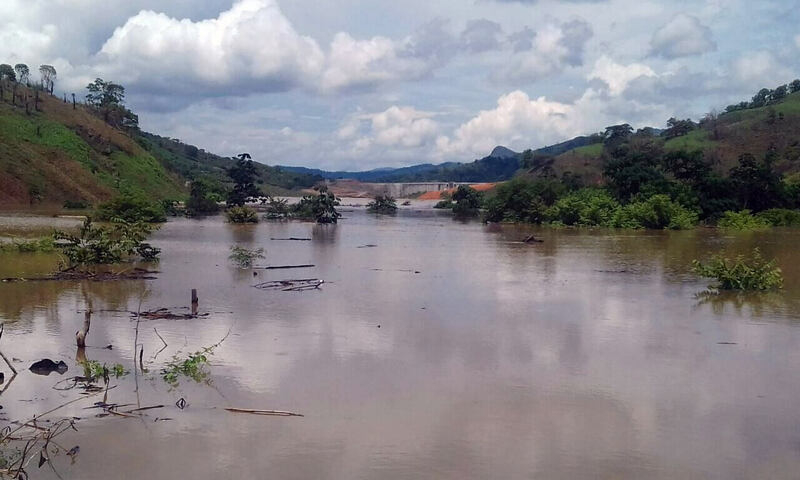 Despite various interventions and indicators that the dam was in violation of international human rights and environmental standards, the project continued to be built. Even as negotiations were taking place, the company began to fill the reservoir in a process that would go on to destroy a river and a people’s way of life. Kiad residents have refused government compensation or relocation, preferring to fight on and scrape out a precarious existence on the ancestral lands that are left to them. Now they are awaiting support from the United Nations Development Program (UNDP), to whom they addressed a letter nearly one month ago. The letter was sent on Jan. 9, 2019, nearly five months after the UNDP’s accountability mechanism, SECU, released its investigation acknowledging that the agency failed to follow its own protocols with respect to due diligence, transparency, participation, consultation/consent, and human rights. Since the 40-page investigation report was released on Aug. 15, 2018, the community has been awaiting a decision from UNDP Administrator Achim Steiner. Meanwhile, the Mirandas and other local residents also await answers from the Inter-American Commission on Human Rights, the European development banks that made the project possible, as well as their own court system, where a criminal lawsuit against GENISA (Generadora del Istmo, S.A., the owner of the dam) is awaiting trial. Besides depriving several communities of their livelihood, damaging their principal water source and severely impacting their freedom of movement and communication, the illegally constructed Barro Blanco Dam has deprived the entire Ngäbe-Buglé ethnic group of the free exercise of their religion, members of the affected communities explained in their letter, which was signed by Goejet Miranda, president of the Movimiento 10 de Abril (M10), the organization representing the affected communities. According to the letter, the Panamanian government and the hydroelectric company, GENISA, knowingly disrespected Ngäbe-Buglé sacred sites in the construction of the dam. The UNDP, as a facilitator in a dialog meant to resolve the conflict, knew of the issue as well, and was therefore complicit. Last May, the company shut down the flow of the river, causing a massive fish kill and effectively destroying a once diverse river ecosystem. Miranda is among those suing GENISA for damages, given that the riverside communities have lost not only a primary food and water source, but also the orchards of cacao and coffee that provided their income and the abundant food forest that gave them their sustenance. The draining of the reservoir provided the communities with a brief and heartbreaking glimpse of their sacred monument. Besides being covered by mud, it had apparently been damaged in the process, to the point that it was barely recognizable, according to Jonathan Quiel González, a geographer and longtime friend of the Kiad community. After the abbreviated religious ceremony, the community held its annual conference advancing the Ngäbe Buglé written language. The community, where the written language was received as a divine transmission, is home to an educational and research center for the language, as well as the sacred site. Around 100 participants struggled to carry out the three days of proceedings given the lack of water for cooking, drinking, and washing, said Weni Bagama, one of the conference organizers. “It has become extremely difficult to organize events now due to the fact that our spring is drying up, and we no longer have our river,” said Bagama, who was in Panama City at the time of publication, meeting with the Panamanian Literacy Organization to get support for their language school. In the letter to the UNDP Administrator, they request a new investigation by the UN Special Rapporteur on the Rights of Indigenous People – following up on the 2013 investigation by former rapporteur James Anaya, recommending that the dam not go into operation without approval from the representative Ngäbe Bugle authorities – a recommendation that the government and the hydroelectric company disregarded. They also request that the water level of the reservoir be lowered beyond the limit of the Ngäbe Bugle territory. They ask that the UNPD take responsibility for the damages to the community, which have deprived them of their livelihood, and that any payment made to rectify the current situation not be considered compensation for their land. 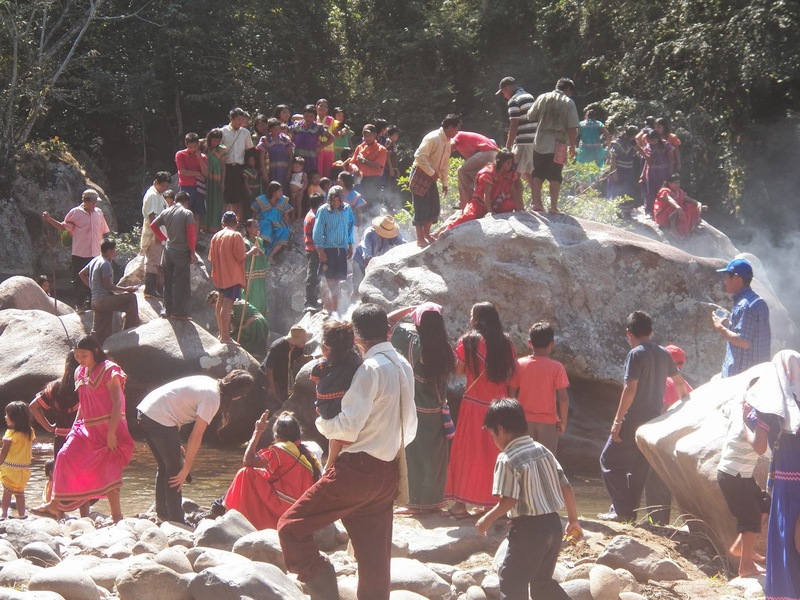 “It is necessary for the United Nations to be able to clean up its image that has been compromised with the partiality with which it participated as UNDP in the Roundtable Dialogue, where the National Government imposed the Barro Blanco Hydroelectric Project, limiting the affected community’s ability to claim its rights,” the letter concluded. The Social and Environmental Compliance Unit was established on Jan. 1, 2015, to monitor the activities of the United Nations Development Program, an agency that manages annual budgets upwards of $5 billion USD. It’s among the newest of the numerous institutional accountability mechanisms monitored by the Accountability Counsel, a nonprofit that seeks to improve the response to grievances around public sector development. While the UNDP did not specifically contribute to the dam project in this case, it was called upon to facilitate a dialog between the parties in 2015, when they clearly had reached a stalemate. More than $66 million dollars was spent on two UNDP-supported projects that included a series of 11 “Roundtable Dialogues” that ended the way they began, with the Indigenous Commission representing the Ngäbe-Buglé people unwilling to accept a dam on their river and the government unwilling to abandon a project that was already 95 percent complete. After representatives of the affected communities pulled out of the talks, the government continued negotiating with other Ngäbe Buglé officials, ultimately signing a deal that never received the necessary ratification of the Ngäbe Buglé Congress and was roundly rejected throughout the territory, leading to bitter conflicts. Miranda and other members of the M10 group filed a complaint with the agency on Aug. 15, 2017, at the suggestion of the Alliance for Conservation and Development, one of Panama’s most active environmental organizations. Over the course of a year, investigators Richard Bissell and Anne Perrault painstakingly combed through the piles of documents generated in the years of conflict around the dam; they interviewed all the parties involved, and they traveled to the affected communities, where they saw for themselves the social and environmental impacts of the dam. Neither of the investigators granted this reporter an interview, but a careful reading of the report gives a glimpse into the fruitless attempt at dialog to bridge the irreconcilable differences – and what happened after that attempt fell apart. From the outset, the Indigenous Commission made clear their position would not change regarding the existence and operation of a dam on the Tabasará River, and they pleaded with the commission to end the process if there was no possibility of cancellation of the project. At each of the eleven meetings, the Indigenous representatives repeated their request for cancellation, based on a lack of consultation, a faulty environmental impact statement and various other violations. At the final roundtable, on May 18, government representatives proposed to replace GENISA with a different company and continue the dialog continue through a series of “technical roundtables”; the Indigenous Commission refused. Government representatives then organized a second round of meetings with individual Ngäbe-Buglé authorities who were willing to continue despite M10’s decision to pull out. The UNDP local representatives continued their involvement in the discussions. On Aug. 22, 2016, then-Panamanian President Juan Varela signed an agreement to allow operation of the project with Ngäbe-Buglé Cacica (leader) Silvia Carrera at a ceremony attended by the Panamanian UNDP representative. The ceremony was interrupted by protesting dam opponents and had to be moved to another location. The agreement is bitterly contested to this day by members of the Ngäbe-Buglé communities who note that under Ngäbe-Buglé law, the caciques are not authorized to make such agreements without ratification by the Congress. The SECU report found numerous shortcomings within the process and in particular, with the UNDP’s Panama representative. While no individual is named, Martín Santiago Herrero served in that role at the time. After the dialogue process ended, Santiago Herrero went on to become the Resident and Humanitarian Coordinator of the United Nations in Colombia, in the last stretch of that country’s troubled peace process. The UNDP’s Panama office withdrew its involvement in the Barro Blanco case. Nevertheless, given the fact that the UNDP is prohibited from participating in projects that violate indigenous rights as outlined in the United Nations Declaration on the Rights of Indigenous Peoples (UNDRIP) – and given the team’s concern that “both past and current flooding of Ngäbe-Buglé territory (which occurred, and continues to occur, without the explicit consent of all relevant Ngäbe-Buglé representatives, e.g., the Ngäbe-Buglé Congress) is related to the UNDP-supported dialogue process,” they decided to recommend that the UNDP’s Panama office re-involve itself in the case. UNDP should take actions to ensure indigenous rights under the UNDRIP, and Anaya’s related findings, they said. For example, it could promote the study and discussion of proposals such as lowering the flood level to avoid impacts on Ngäbe-Buglé communities; ensuring revenues in a trust fund for the Ngäbe-Buglé; and secure advice from a UN entity charged with monitoring indigenous rights (such as the UN Special Rapporteur). Other recommendations had to do with applying the lessons from Barro Blanco to make sure that history doesn’t repeat itself, and that future UNDP involvements respect the agency’s own guidelines with regard to transparency, inclusion and the free, prior and informed consent of indigenous peoples. 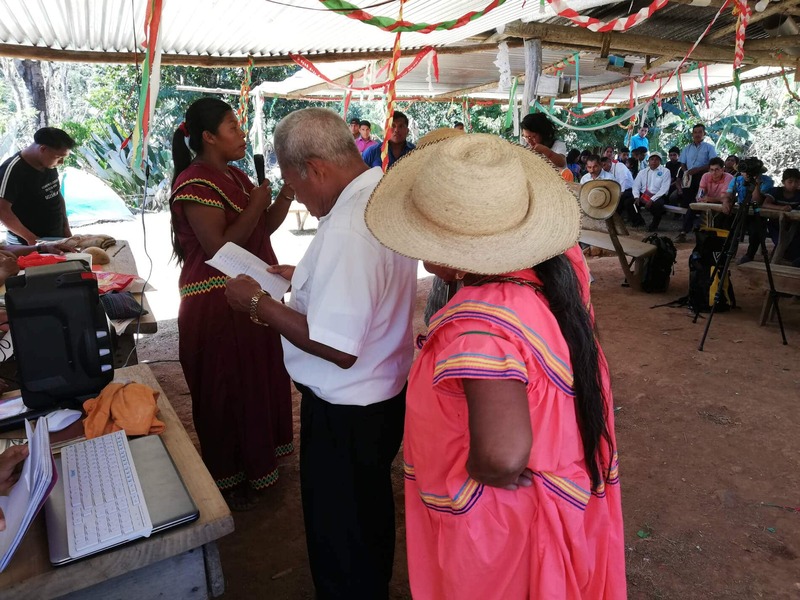 In particular in Panama, which has a history of indigenous rights violations and a host of problematic projects on the horizon on indigenous lands, the team advised greater attention in screening for social and environmental risks. The Mirandas were happy to receive the SECU report, although it took a while to access it, and even longer to decipher the dense language. But they didn’t have much time to reflect on these findings. These days, they spend much of their time trying to wrest a crop from the thin upland soils and the scant waters of their steadily diminishing spring. They live in fear that the little ones will wander away and fall into the quicksand-like muck surrounding the reservoir, as some of the livestock already has. They worry about the strange illnesses – possibly due to the swarms of mosquitoes that they never used to see. They remember better times, when life flowed with abundant fruit and vegetable harvests from their rich bottomlands, fish and shrimp from their waters, livestock that grazed on plentiful land and cash from the cacao and coffee harvests, to buy whatever they couldn’t grow. There was time for cultural and intellectual pursuits – like the books on the Ngäbe language and cosmovision written by Manolo’s father, also named Manolo; for painting murals and sitting down with a cup of their own home-grown coffee; for playing with the children and relaxing in the clear flowing waters of their beloved Tabasará. The thatched roofs and simple, open construction of their homes and cultural center might not have looked like much to an outsider. But to them it was home, and looking back, it was paradise. These days when there’s time to read or study, it’s environmental law and indigenous and human rights – and usually it’s by the light from their single solar panel. It’s a stinging irony that Barro Blanco doesn’t even provide them with electrical power. Weni Bagama, Manolo’s sister and a Ngäbe leader in her own right, traveled on her own along with two other indigenous activists to Washington, D.C. in December, seeking out the offices of the Inter-American Commission on Human Rights to follow up on a hearing two years ago and a precautionary measure that have yet to bear results. She was able to locate her community’s file in the building’s vast maze of offices, as well as a person familiar with the process who advised her on the next steps they must take to reactivate that case. The SECU report brought back bitter memories of a process fraught with deception, manipulation and repression, she said. But at least the team had the courage to come to the village and face them, listen to their story, and see for themselves. The report reflects that, and she is grateful. “To be honest, Barro Blanco is such a dramatic example of everything that can go wrong in a climate mitigation project, and of the harm that can be done,” said Miriam Vicente Marcos of Carbon Market Watch, a Brussels-based NGO that fought Barro Blanco’s designation under the Clean Development Mechanism, a market-based carbon trading system set in place under the Kyoto Protocols that can end up doing much more harm than good, as Barro Blanco demonstrated. Both Ends, an NGO based in the Netherlands, has been working on this case since the European Investment Bank considered investing in it. After pulling out due to public pressure, the Dutch development bank FMO entered the project. Both Ends spokeswoman Anna Van Ojik has watched the tragedy unfold, unable to convince them of the error of this investment decision. FMO had a second public relations disaster with the assassination of the Honduran indigenous activist Berta Cáceres, with employees of DESA, the company executing the FMO-financed Agua Zarca dam that she was fighting, being implicated in the murder. The takeaway for financial institutions, she says, is that before making the decision to invest in a project, it’s imperative that development institutions take their own responsibility to check or clarify to make sure that there is actually consent in the case of indigenous people, and that there’s community support in the case of non-indigenous communities as well. Paul Hartogsveld, spokesman for FMO, acknowledged in an e-mail interview that the company has changed its procedures partly as a result of the Barro Blanco case. “After a complaint was filed in our independent complaint mechanism and an Independent Panel investigated our investment, it became clear from the conclusions from the panel that FMO should have taken the concerns of certain representatives from the indigenous community more seriously,” he wrote. After an extensive consultation process, the company updated its sustainability policy in early 2017 – more specifically its position statements on human rights and land rights – and includes more intensive due diligence requirements for high-risk projects that have significant impact on local communities. The Mirandas and others in the affected communities are very aware of the international infamy their case has gained, albeit in limited circles. They are also aware that funding for the NGOs that supported them in the past is drying up, as they scramble to respond to multiple emergencies caused by the extractive industries continuing to build megadams and mines across the country and throughout the world. As families in Brumadinho, Brazil, desperately dug through the mud in search of their missing relatives after a failed dam killed more than 100 people, the Mirandas hardened their resolve, determined that their case, if nothing else, serve as a lesson to prevent something similar happening to anyone else. On Feb. 4, UNDP Administrator Achim Steiner issued his decision. In it, Steiner talked about preventing similar shortcomings in the future as well as the need to develop a sensitization and training program on the rights of indigenous peoples for the Panamanian UNDP office staff. According to Steiner, a work plan will be developed to implement the recommendations; however, it is unclear if that will include any direct measures for the affected communities, who were not mentioned in the decision. Key UNDP staff were unavailable for comment this week. Meanwhile, the communities wait. The consent of indigenous communities did not receive required attention. 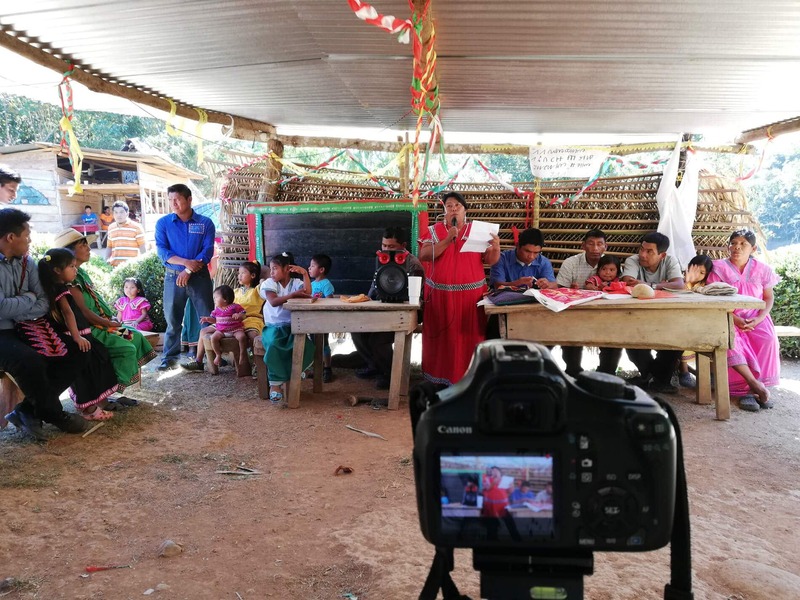 For instance, the UNDP continued to advance and participate in the dialogue process related to Barro Blanco despite flooding of indigenous territories – even during the dialogue process – without the consent of the indigenous population. The Panamanian representative’s willingness to continue the dialogue without participation from the affected communities was problematic. “The Roundtable Dialogue’s early meeting minutes were rife with acknowledgments of the need for affected communities to participate; these minutes described the potential for violence, stalled project activities, and community division without the participation of all key communities in dialogue processes,” the report states.